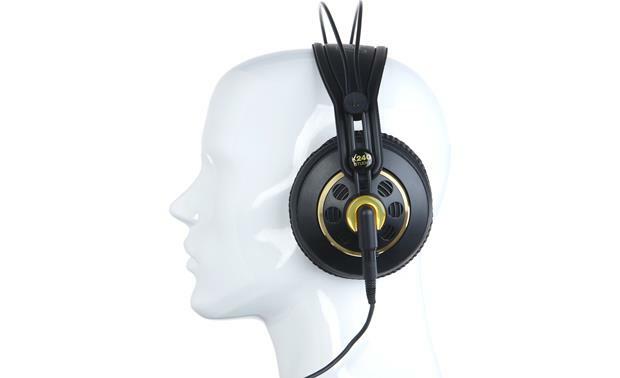 AKG designed the K240 Studio headphones for recording musicians and engineers. 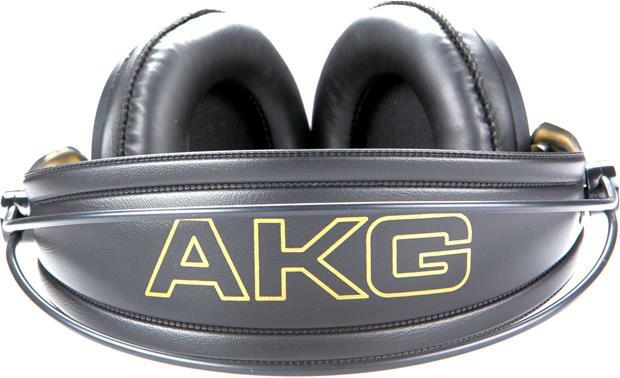 AKG designed the K240 Studio headphones for recording musicians and engineers. Their semi-open design allows high frequencies to shimmer with just enough airiness while maintaining powerful bass response. It also keeps midrange response natural, so guitars and vocals sound like they're supposed to sound. 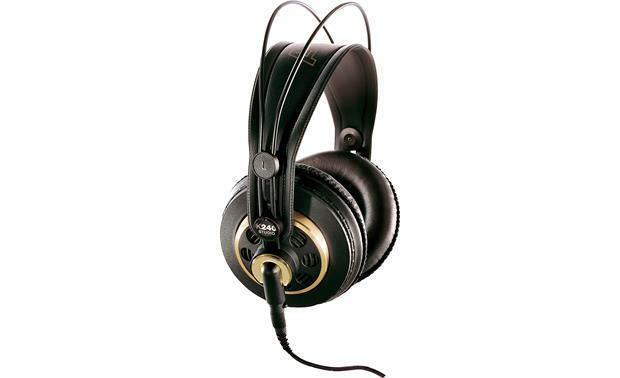 Practically the industry standard, the AKG K240 headphones provide the natural sound that's ideal for studio recording. Found in many pro studios, these cans are a no-brainer choice for outfitting your project studio or setting up a small home-recording rig for your computer. 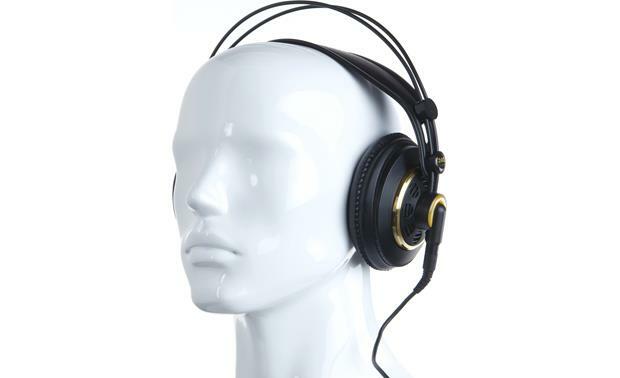 AKG's patented Varimotion drivers deliver clear sound with extended dynamic range — that's useful during mixing, so you can accurately hear which frequencies or instruments need boosting or taming. Comfy earpads and a self-adjusting headband ensure you can keep at the mixing process until you're satisfied — not just until you're tired of wearing headphones. An extra-long detachable cable gives you freedom to move, while 1/4" and 1/8" plug options allow you to connect to pro and consumer gear — from mixing boards and interfaces to smartphones and stereos. Over-Ear Design: The K240 Studio professional over-ear studio headphones are designed for professional applications such as mixing, mastering and playback. 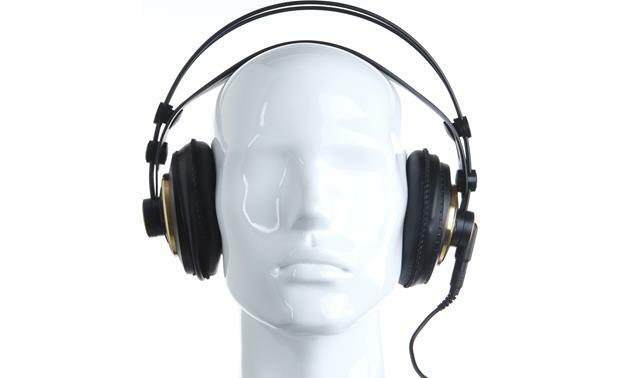 The over-ear pads envelop the ears nicely making them extremely comfortable to wear. The self-adjusting headband provides you with an optimum fit. 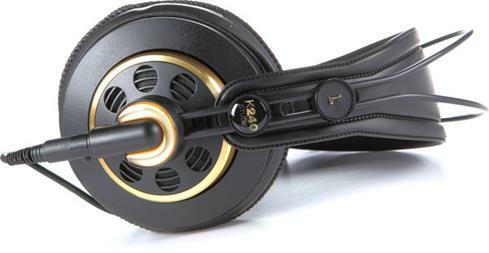 Semi-Open Technology: The K240's semi-open design provides a solid bass range and extremely clear highs. Patented Varimotion XXL Transducer: The advanced 30mm XXL transducers with Varimotion diaphragms deliver a wide dynamic range, increased sensitivity and high sound levels. Single-Sided Cable: The K240 Studio features a professional mini XLR connector, allowing for quick replacement of the single-sided 39" headphone cable. 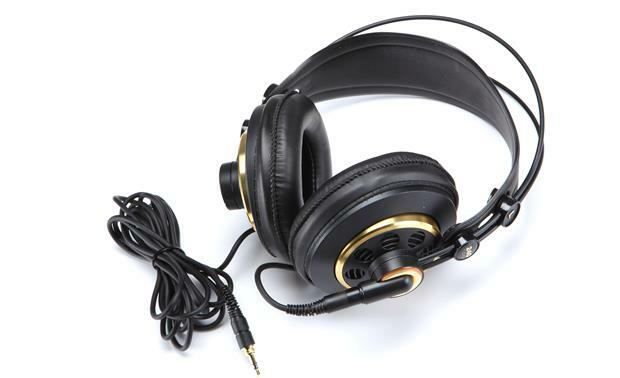 The included cable provides a convertible jack plug for easily connecting equipment with a 1/4" or 1/8" headphone jack. Do these have volume control? I'm looking for some headphones for my Sony camcorder to replace my well used Inland volume control headphones. If you have other headphones to take a look at, please advise. Thanks! I don't see any volume controls on the headphones themselves. I control the volume by plugging the headphones into my receiver and then increase or decrease the volume with the volume knob on the receiver. No, the AKG K240 headphones do not have an inline volume control, The volume is controlled by the device they're plugged into. No, these are not powered or controlled by anything other than the device you plug them into. Hope this helps!